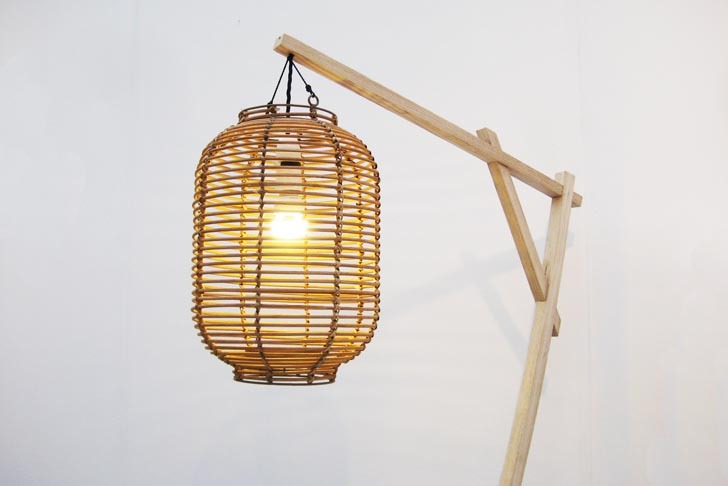 Recently spotted at New Designers exhibition in London, this long and lean wooden lamp is made with neither glue nor screws. 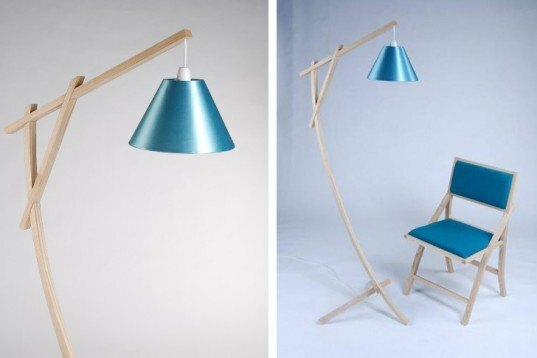 Designed by recent Plymouth University graduate Dan Murley, the design is made from pieces of scrap wood left over from the creation of a chair. The svelte wooden lamp was originally created with a shiny-blue recycled aluminum shade, but for the New Designers show it featured a recycled Chinese lantern that provides the piece with an exotic, yet minimal aesthetic. Dan Murley’s floor lamp is made of leftover ash wood that was gracefully curved using a low-energy steam bending technique. To give it a natural finishing the designer opted for a type of lime wash, which gives the lamp a pale and clean aesthetic without spoiling the wood’s natural beauty. Dan Murley’s long and lean lamp sets a bright example — it combines simple woodworking techniques with low-impact materials to create a contemporary piece of design that is very strong, eco-friendly and can be enjoyed for many years to come.